Dr. Gary Davis earned his Doctor of Chiropractic from Life University. After his graduation, he knew it was time to launch his practice. Davis Chiropractic Center opened its doors in January 1998. 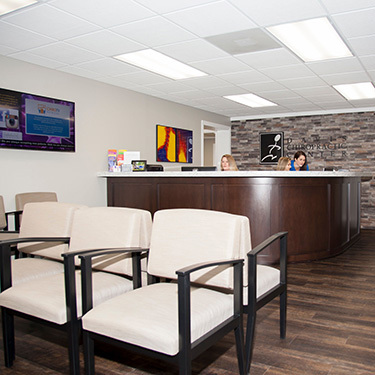 For more than two decades, we’ve provided excellent natural health care to the Peachtree City community. We enjoy seeing people of all ages and different needs at our office. With so many years of experience, Dr. Davis has developed a unique understanding of how to treat a myriad of various conditions and concerns. We want you to feel better as quickly as possible and maintain your wellness in the long term. When you have health, you can participate in the things you love with the people that you care about. Babies, children, moms, dads and senior citizens alike are all welcome at Davis Chiropractic Center. We also see many auto accident victims and those with sports-related injuries. Dr. Davis provides full-body chiropractic care and adjusts extremities. He also specializes in foot care. We also offer adjunctive therapies such as rehabilitative exercises, traction and electrical muscle stimulation to give your healing an extra boost. Dr. Davis is an in-network provider for many insurance companies and accepts Medicare. If you don’t have insurance coverage, we offer convenient payment plans to ensure that you can get the high-quality care that you need to get better. Contact us today to get started! Same-day appointments are available, and walk-ins are welcome.